Image credits: Smithsonian, Brewers Association. 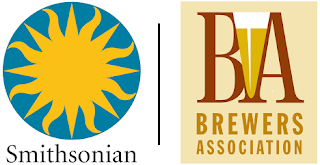 The Smithsonian National Museum of American History has announced the launch of a three-year initiative to collect, document and preserve the history of brewing, craft brewing and the beer industry to explore how beer and brewing connects to larger themes in American History. This effort, which is part of the "Smithsonian Food History" project, is being made possible through a donation from the Brewers Association. The work will seek to examine beer's connection to significant social, cultural, economic and environmental movements across the country, as well as how the beverage ties in to different aspects of advertising, agriculture, innovation, business and community life. "Brewing has a long and deep connection to our country's history, and the museum's collections explore the history of beer from the late 19th to early 20th centuries," said John Gray, director of the museum. "The Support of the Brewers Association allows our staff to collect the more recent history, including the impact of small and independent craft brewers who continue to advance the U.S. beer culture and inspire brewers worldwide." Museum staff have researched and documented American food and beverage history for more than two decades and will work with the Brewers Association, American brewers and beer historians to document and collect the stories of the modern industry. The museum currently houses several small, but important collections dating from the 1870-1960s, but as American brewing continues to expand in scope, scale and impact, the museum is uniquely positioned to collect new industry material for the future benefit of scholars, researchers and the public. "The craft brewing revolution in American has had a profound social, cultural and economic impact on this country," said Bob Pease, president and CEO of the Brewers Association. "America is a beer destination. We are honored to support this effort and work with the National Museum of American History to chronicle and showcase the significant achievements small and independent brewers have made throughout this nation's history." For more information on the initiative and a link to the museum's digital collections relating to beer history, visit http://s.si.edu/BrewHistory.